My late mother used to declare that one should read first the book, then see the stage play, and finally the film. In this order, one could avoid being disappointed by a shallow theatre production or a mediocre film. 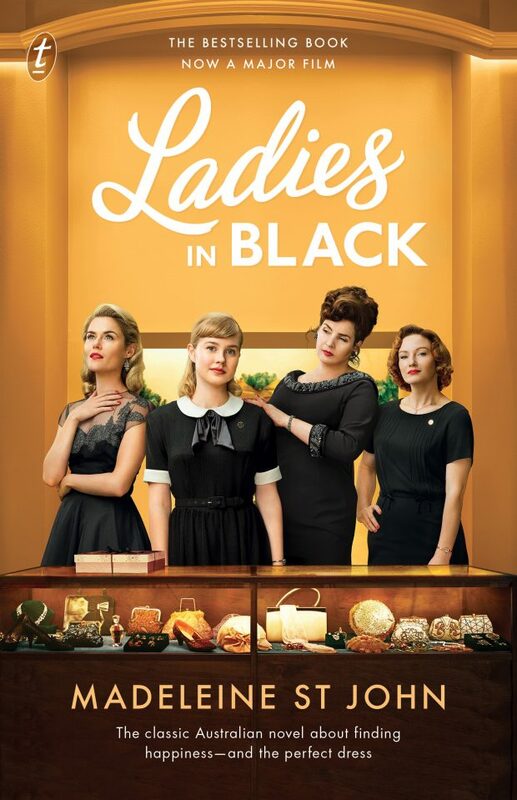 This 2018 re-release of Ladies in Black by Madeleine St John commences with a gently humorous introduction by Bruce Beresford, the long-time friend of the author and director of the marvelous film. He recounts the trials, over 30 years, of finding backers, film funding, and then actors and locations to do justice to his late friend’s literary work. Having immensely enjoyed the film, this week I delved into the printed word. St John’s witty deft touch and economical use of language to paint a Sydney summer of 1959 is reminiscent of Jane Austen and Rosalie Ham. Her very gentle description and slight mockery of society in that era speaks volumes of Ms St John’s close observation of people, cultural shifts and the society into which they fit. Upon reflection, Mr Beresford’s film adaption and wise choice of actors adds a third dimension to the original story, but the reader draws more nuances from the printed word, giving the viewed film more meaning. It’s a tragedy that St John wrote only four novels in her lifetime, and Ladies in Black is her only work set in Australia. Both book and film are recommended, particularly for their masterly portrayal of Sydney in 1959.